CHOLLEY Clearing Ampoules are high-intensity skin whitening ampoules for brightening the skin and eliminating irregular pigmentation. It utilizes a high concentration of vitamin C in combination with arbutin, salicylic acid, and azelaicmonoamide acid for a vigorous whitening action. 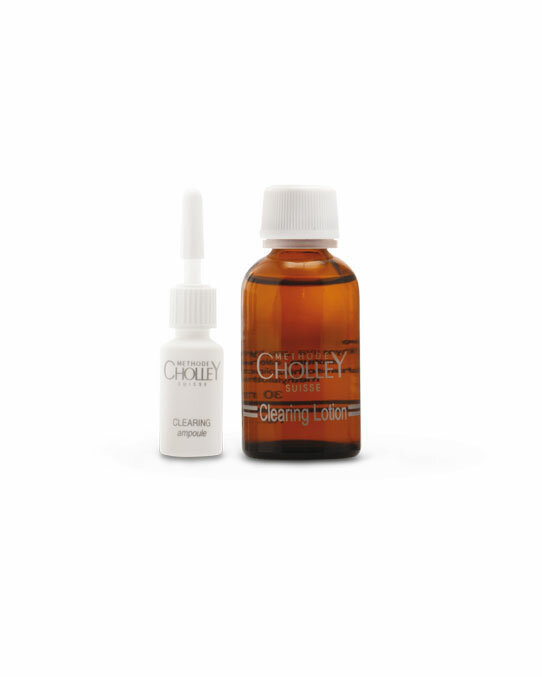 CHOLLEY Clearing Ampoules are for intense whitening of the skin, eliminating pigmentation irregularities and post-acne stains, reducing swelling caused by acne or couperose, and achieving a brighter and more uniform appearance of the skin. Each ampoule is mixed with a CHOLLEY Clearing Solution (4 ml – measured by the enclosed pipette) and should be used within a maximum of 3 or 4 days.